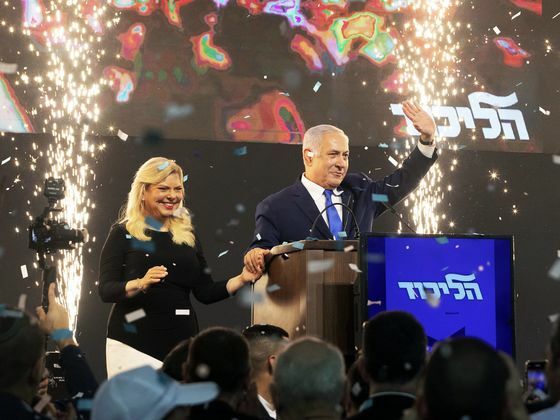 The grin on Prime Minister Benjamin Netanyahu’s face as he walked out before a crowd of adoring Likud party supporters in Tel Aviv early this morning was that of a winner. Beset by corruption allegations and facing a strong challenge from a popular ex-military chief who only entered politics in December, Netanyahu — known in Israel as “the magician” for his ability to escape from seemingly dire political predicaments — was on the brink of securing a fifth term. Likud fought a draw with ex-general Benny Gantz’s Blue and White bloc, and both leaders claimed victory. But the strong showings of a handful of allied religious parties means Netanyahu is almost certain to be tasked with building the next government — and is on course to become Israel’s longest-serving leader in July. The economy has done well under Netanyahu, and he’s achieved a series of major diplomatic coups, largely courtesy of the Trump White House. But his rhetoric and nationalist posturing has divided Israel, peace-making with the Palestinians had collapsed even before he used an eve-of-vote interview to hint he might annex territory in the occupied West Bank, and the threat of a corruption prosecution hangs over the prime minister. He might need those magic skills again. Summit deja vu | It’s only three weeks since Prime Minister Theresa May was last in Brussels seeking to delay Britain’s departure from the European Union, and leaders will find out today very little has changed. This time, they’re likely to delay Brexit for as long as a year to avoid creating “new cliff-edge dates.” But it risks fueling a backlash against May at home, where her ruling Conservative party has almost run out of patience with her leadership. Counter investigation | Attorney General William Barr has assembled a team to review controversial counter-intelligence decisions made by Justice Department and FBI officials, including actions taken during the probe of the Trump campaign in the summer of 2016, Chris Strohm and Billy House exclusively report. The move indicates Barr is looking into allegations Republican lawmakers have been pursuing for more than a year — that the investigation into Donald Trump and possible collusion with Russia was tainted. 2020 pressure | Trump’s intensifying border crackdown promises to make immigration a central issue in next year’s presidential campaign, but aspiring Democrats haven’t yet offered voters a detailed vision beyond fierce opposition to his policies. A fresh surge of migrants at the southern border is exposing divisions among potential Trump challengers about how to approach the issue. Leaving the shadow | Annegret Kramp-Karrenbauer, known as AKK, has stormed across Germany’s political landscape since replacing Angela Merkel at the head of the ruling Christian Democratic Union. In line to take over as chancellor in 2021 at the latest, she’s struck a starkly different tone than the plodding Merkel, ripping into political correctness as she tries to win over conservatives put off by the CDU’s leftward drift. Angry farmers | Indonesia’s president faces worrying discontent in the fertile fields of Java as next week’s election approaches. Joko Widodo, still predicted to win on April 17, may not be responsible for volatile commodity prices that have rocked roughly 36 million farmers, but their fragile circumstances have narrowed his lead. With economic policy makers gathering in Washington for the IMF and World Bank’s spring meetings, Trump is sending the message that his trade wars aren’t finished yet and a weakening global economy will just have to deal with it. The heads of the biggest U.S. banks are set to be grilled today by House Democrats, including include several freshmen elected in November on the promise of imposing tighter restrictions on financial institutions. And finally ... The list of ways China is keeping tabs on its citizens just got longer. 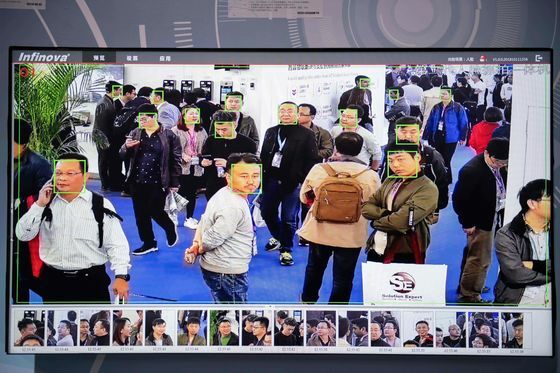 Its experiment in assigning a “score” based on behavior is only an extension of the ways Beijing already keeps track of its 1.4 billion people. There’s also a blacklist aimed at shaming “uncivilized” travelers, a system for evaluating whether users need to put down a deposit before renting a bicycle and other tools that could eventually feed into an overarching national program.